Lucky us, there are no more people who are asking for live media. I guess that now everybody knows how to use an USB stick/key to get an installation going. So, they went with a sticker or a pen. I’m not going to talk about the swag more here as I already did on Twitter and the Ambassadors mailing list. 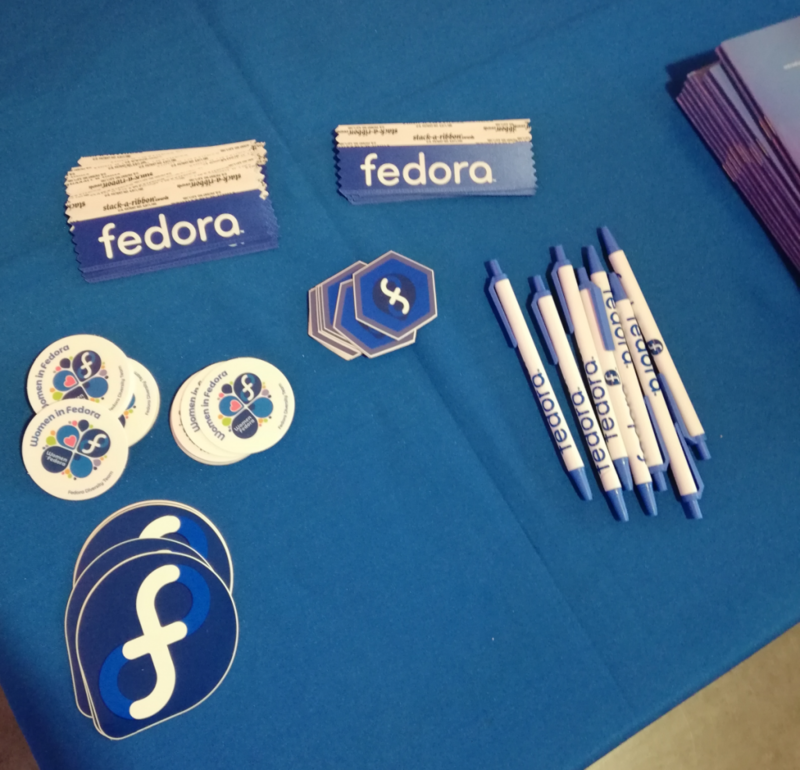 I just want to remember everybody: There was a reason that we made a FAD (Fedora Ambassadors Day/Fedora Activity Day) every year to discuss swag and event. This prevented us from failures like the “stack-a-ribbon” awards. During the event I needed to switch my hats again. CLT is also always a little bit about Home Assistant. We got our third Thomas-Krenn award. This was every unexpected and a really nice surprise, especially as it was the first place. Thanks to that people came by our booth and asked about it. And running Home Assistant on Fedora IoT is just awesome. Fedora IoT is far from perfect but it shows where we are heading and with greenboot it will get a feature that make our lives easier. 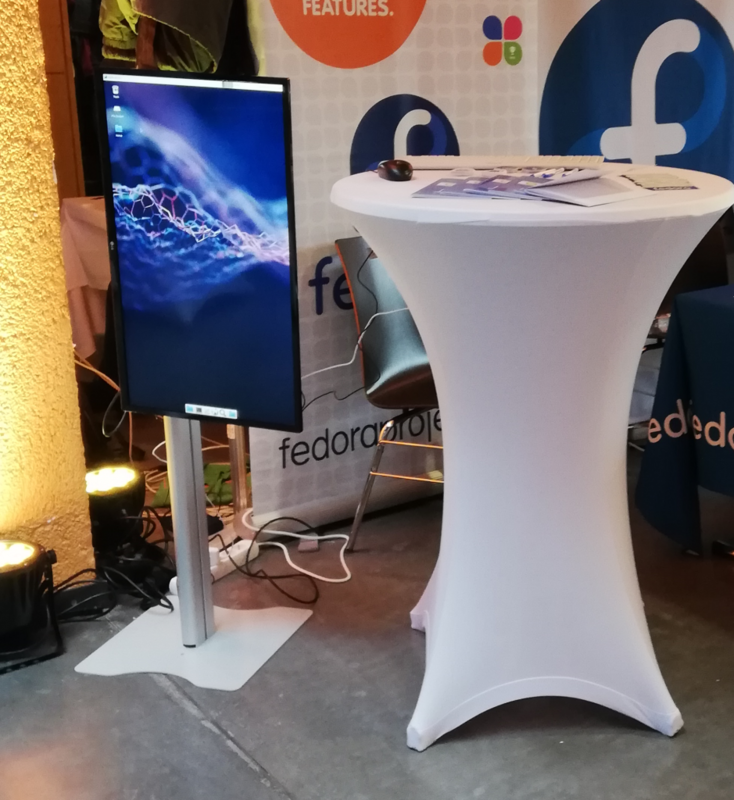 Last year we shared the space with OpenSuSE, this year it was Debian. It was pretty cool to have them as our “neighbor”. Different approaches and ideas but the same target. It’s very interesting that an event like CLT is able to maintain a more or less a constant number of visitors. Sure, sometimes it felt that there were not that much people around but 20 minutes later the whole place was flooded with visitors. I assume that the trick it to keep the event to a reasonable size, trying not to grow every years and to have fun.